Ladies Grasmere Pure Wool Mock Kilt Style Skirt. Dry clean only. This is a really lovely skirt made from high quality materials. It is very comfortable to wear with the partial waist elastication & full lining. The apron front makes an interesting alternative to all-round pleats & the skirt looks very elegant in the longest length. 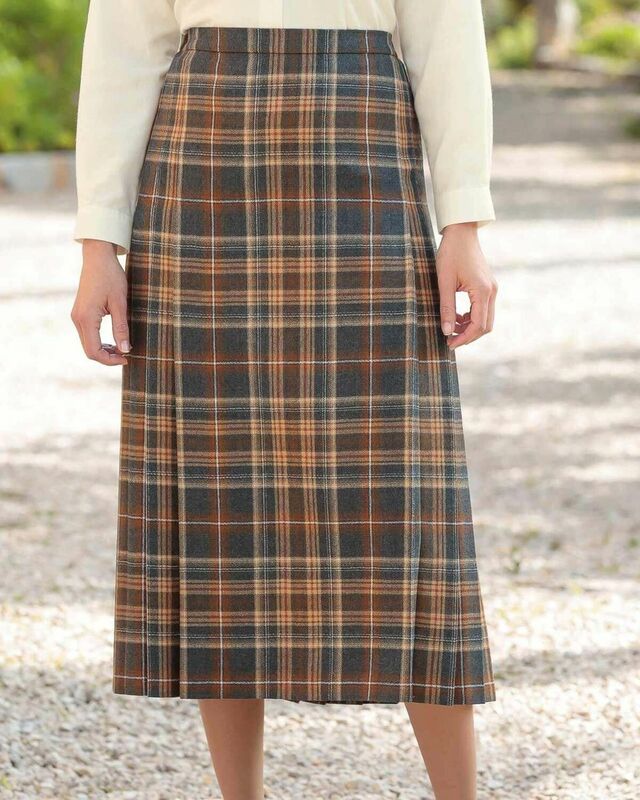 Ladies mock kilt style skirt cut from pure wool woven for us in the UK. Featuring a flat panel at the front and a fully knife pleated back stitched down to the hip. Fully lined with back zip and button fastening and side back waist elastication for comfort. Classic shades of toffee and charcoal with a hint of russet. Coordinate with any of our collection of blouses and knitwear to achieve a classic look. 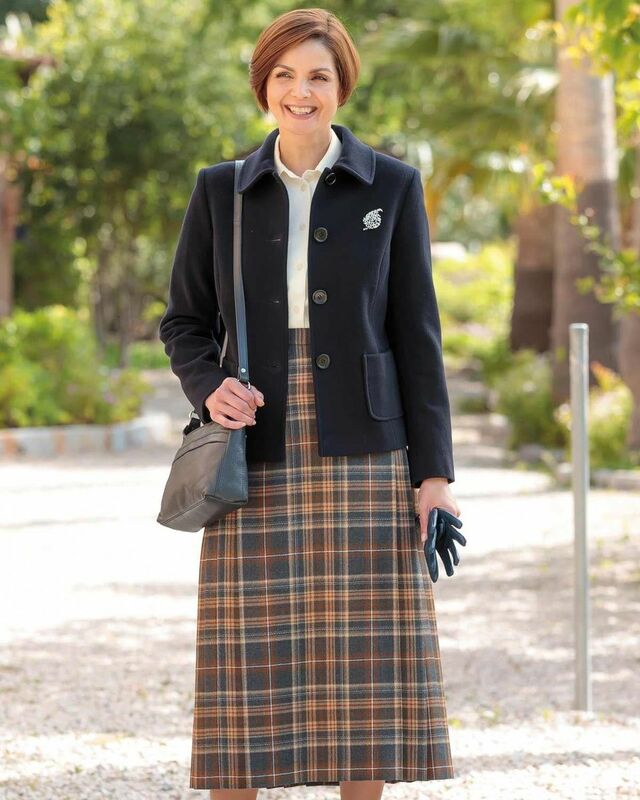 "This is a really lovely skirt made from high quality materials. It is ..."